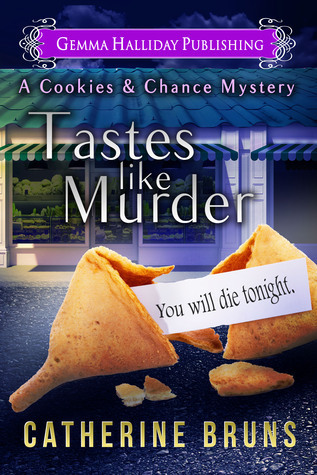 hanging by an apron string, Sal finds herself in a race against time to save both her business and life—before the last cookie crumbles. I love a good mystery and this one fit the bill perfectly. There was plenty of suspense and lots of romance with our lucky leading lady having the dilemma of choosing between two gorgeous men. There was also a little bit of humour in the story which kept it lighthearted. The mystery was well written and complicated just enough to keep me guessing. There were plenty of potential suspects to choose from. I really enjoyed the love triangle aspect as it provided lots of drama and humour as Sally's family stuck their noses in her business at every opportunity and offered their own brand of wisdom. I liked Mike and Brian and I hope Sally takes her time and doesn't make any rash decisions! I listened to the audio version of this book and I highly recommend it. The narrator does an excellent job. I can't wait to dive in to book 2.